If you have lost your teeth, visit Clarisse Atakhanian DDS Inc. to learn about dentures. We find that many people have a misconception about dentures, namely that they are not natural-looking or durable. Modern dental technology gives us the ability to replace your teeth in a way that is dependable, attractive, and effective. Even if you have an old set you do not like, we can replace them with ones that have a better fit and are more enjoyable to wear. Here is what you need to know. 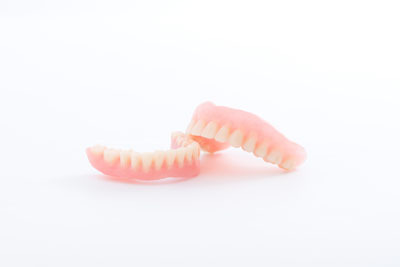 If a patient only loses a few teeth, then the patient may want to consider partial dentures. We can use partial dentures to replace a couple of teeth or many teeth. The patient just needs to have a few remaining teeth for us to secure the partial set to. Other than that, it really does not matter which teeth are lost or their location in the mouth. We have a dental lab create the partial set using an impression of the mouth, measurements, and a shade card, so they match the surrounding natural ones. The dentures remain in place using wires and clasps. However, the patient will need to remove them on a nightly basis to properly clean them. If a patient wants a more secure option, then he or she can also consider getting a dental bridge. The concept is similar in that we secure the new teeth to material that looks like the natural gums. The difference is that a bridge remains in place with dental crowns, making it a semi-permanent solution for tooth loss. When a patient loses all or most of his or her teeth, a full set of dentures is more appropriate. If the patient only has one or two teeth remaining, we may suggest removing them and creating a full set of artificial teeth. One suggestion that we often make is to start with a temporary set of dentures and have a full set created in six months to a year. 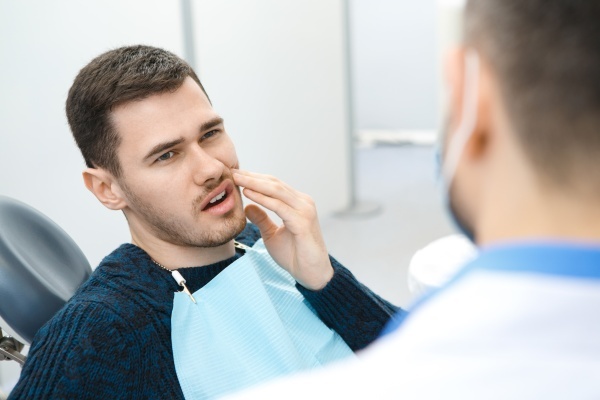 This is because the jaw will go through the process of resorption after tooth loss. This is where calcium is leached from the bone to be used elsewhere, and it changes shape and size as a result. If a patient starts with a permanent, full set of dentures, the fit may not be correct when this process is complete. Starting with a temporary set allows us to create the permanent dentures when we are confident the jawbone is the size it is likely to stay. The temporary dentures ensure a more comfortable fit in the long-term. If you are unsure whether dentures are the right solution for you, ask us about dental implants. Dental implants are a surgical way to replace missing teeth. To do so, we implant a titanium post under your gums and secure it to the jawbone. The titanium and bone will fuse together through the process of osseointegration, creating a secure and stable base for your new teeth. As a result, you can eat like normal and care for your teeth without any additional steps.